You can choose from three different types of joint accounts to title your assets. 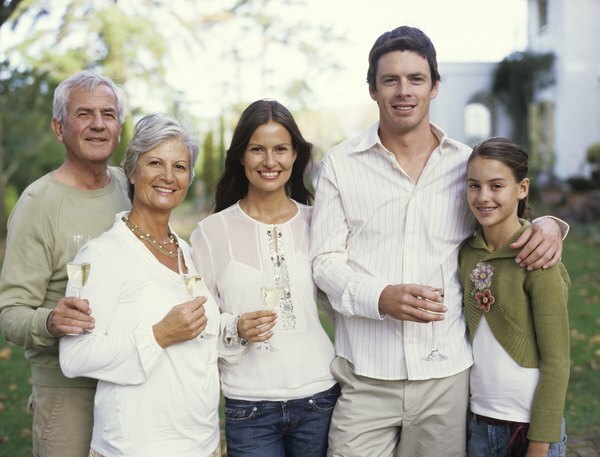 One important goal of estate planning is keeping your assets out of probate. You can co-own assets in a joint account with one or more other people and spread the ownership rights and responsibilities among you. Depending on how the joint account is held, you may not be able to leave your share to a beneficiary of your choosing. If you prefer retaining sole ownership of the account and passing it to a specific beneficiary, using the Transfer on Death (TOD) designation may be a better way to go. At the time of publication, only Texas, Louisiana and Puerto Rico do not recognize the TOD account designation. A beneficiary named on a TOD account has no legal rights until you die. He cannot take over ownership of the account or receive information about it. You do not even have to let him know that he is the designated beneficiary. You can name more than one person as a TOD beneficiary and change the TOD beneficiary as often as you want. You can title a joint account as a Joint Tenancy with Rights of Survivorship with two or more people. Each owner has an undivided interest in the account and is responsible for managing and maintaining it. When you die, your account share is divided equally among the remaining owners. You cannot circumvent this by leaving your share of the account to a beneficiary named in your will. The joint account is never part of your estate; it must pass to the remaining owners. In comparison, your ownership interest in an account is not altered by a TOD designation. You can also decide who receives the account after your death. Several individuals can own a joint account as a Tenancy in Common. Tenancy in Common gives each person a divisible ownership that can be unequal. For example, you can own 70 percent of the account while the other person owns the remaining 30 percent. When you die, your account share becomes part of your estate. You can leave your share to a named beneficiary. The remaining owner's interest in the joint account does not change. In contrast, a TOD account passes directly to the beneficiary. It is not included with your estate or made part of your trust. Tenancy by the Entirety is only available to married couples or to couples united in a civil ceremony. Both parties hold the joint account as though they were one person. You cannot open or close a joint account or leave it to a beneficiary without the consent of your partner. When your partner dies, the joint account automatically passes to you outside of probate. However, you can leave an account using the TOD designation as long as you do not jointly own it with your partner. If you use TOD with a joint account, the court will override the TOD designation and pass it directly to your partner.